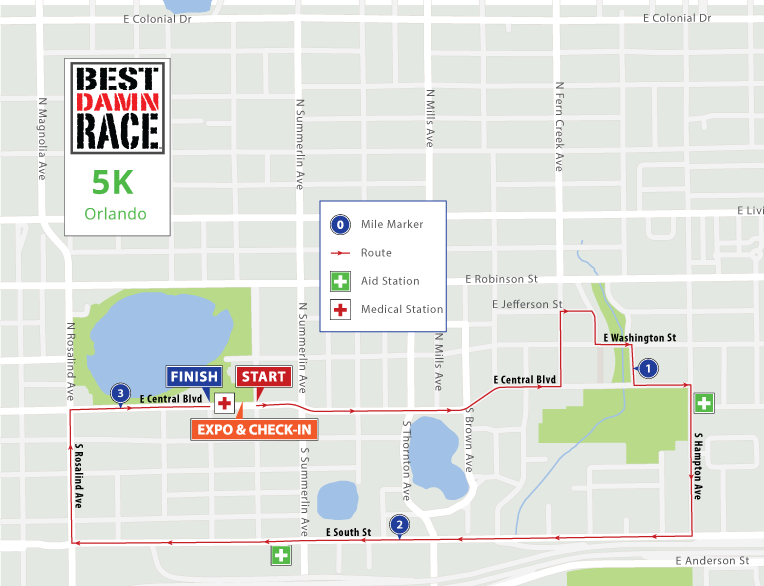 The 6th Annual Best Damn Race Orlando features a Half Marathon, 10K, 5K, and 5K + 10K Challenge on March 2, 2019. Best Damn Race is a running series created for runners by runners. Our goal is to provide a big race experience at a local race price. It doesnt matter if you are an elite runner, first timer, walker, or using a baby jogger, we want you to have the best DAMN race experience. 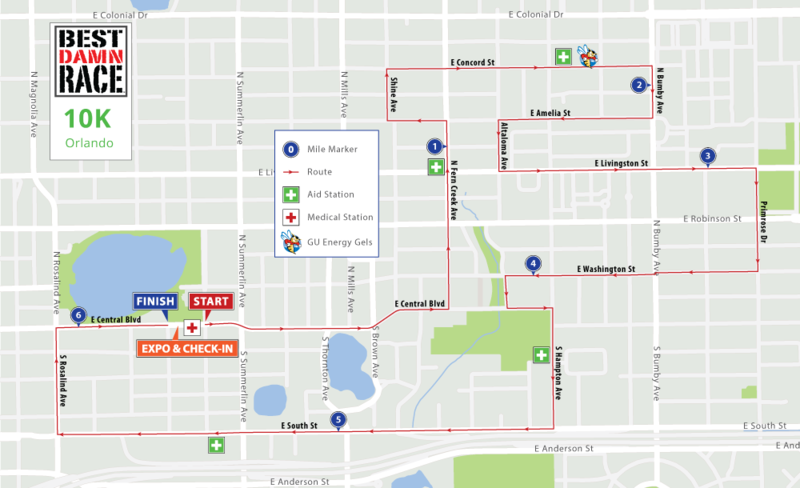 The Half Marathon will start and finish at the southeast corner of Lake Eola Park in Downtown Orlando. 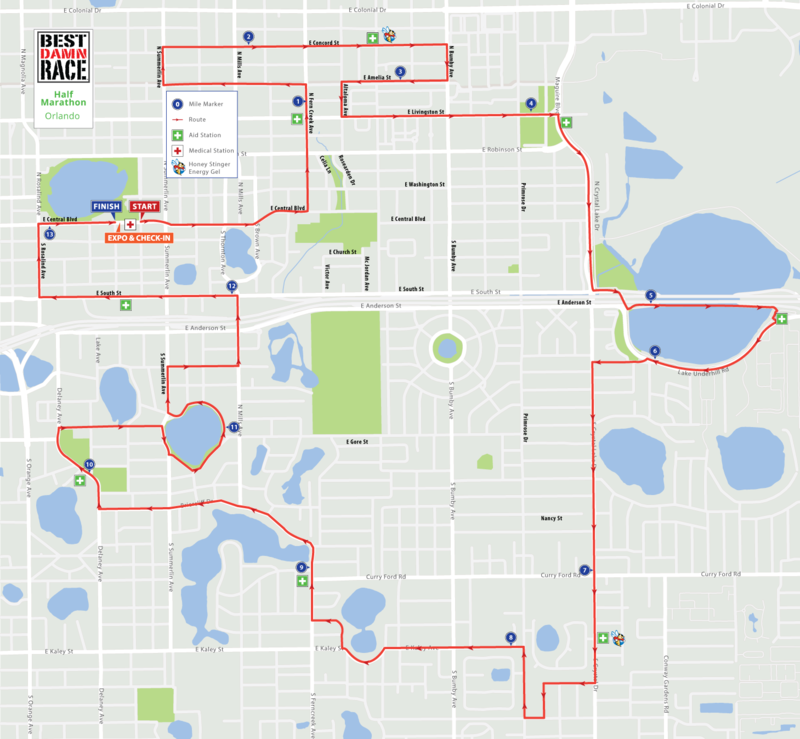 The course will take you through parts of downtown Orlando and will have 9 aid stations with water and multiple with NUUN Hydration and Honey Stinger energy gel. Street Parking is available at $1 per hour and starts at 8am. There is a 2 hour max so use street parking carefully. Before you enter your assigned corral, drop-off your pre-race/post-race clothing and belongings at the Gear Check. While you run, your gear will be held at Gear Check. Please note: DO NOT leave valuables, cash or jewelry in your gear bag. The event is not responsible for any lost items. Gear bags must be claimed before 12:00 pm on race day. How was Best Damn Race Orlando?